In spite of the restrictions on free speech in China, I’ve always had very positive experiences at academic conferences. Although Chinese academics are not always free to speak their minds, I’ve repeatedly experienced surprising levels of candor from Chinese counterparts and have always been given the opportunity to speak freely and share my views at Chinese academic environments. My criticisms in Chinese conferences of actions taken by the Chinese government have not always sat well with my hosts but were always tolerated and sometimes even appreciated. In light of this history, I was pleased to recently receive an invitation to speak at a conference at an elite Chinese university hosted jointly by three Chinese academic centers working on territorial sovereignty and South China Sea studies. While I understood a Chinese academic conference exploring these sensitive areas was not deigned to question the legality and validity of China’s aggressive territorial claims, I appreciated that the organizers had the courage and confidence to invite someone like me with a very public record of criticizing some of China’s territorial claims as dangerous violations of international law. I responded that I would be willing to fly to China for a two day trip if I could be given assurances in advance I’d be able to speak freely and without interference. When those assurances were granted by the conference organizers, I accepted the invitation and sent in the topic of my talk. My title, “Why supporting and strengthening the rules-based liberal international order is in the strategic national interest of China and the United States,” was designed to clearly articulate my view that China and the United States must work closely together to promote rules of the road that can work for all countries. My first indication that something was amiss came when I arrived last Friday at the university and was told politely that my name was not listed on the agenda because my remarks had not yet been cleared by the authorities. I explained that I had been given assurances I would be able to speak freely but was informed that the first step toward being given a place on the agenda was sharing my notes. I could have refused at this point but I was already in China and it was made clear that refusing to share the notes would make it impossible for me to speak at the conference. Because my notes clearly and logically supported the title of my talk, I decided to share my notes with the organizers. That night, I was invited to a hastily-organized dinner in a private room with one of the conference organizers, a man connected to the host academic center administration who seemed far more a political operative than an academic. I assumed he was a political commissar embedded in the university. After the initial pleasantries, the pressure campaign began. He said that he had reviewed my notes and was concerned that some of my critiques of Chinese government positions would be too sensitive given today’s political climate. He asked if they could provide edits or if I would amend my remarks to eliminate those references. I responded that I had come to China because I firmly believe that a free and open exchange of ideas, even critical ones, between Chinese and American scholars was essential to finding a way forward for both of our countries. I made clear that I had come to speak but also to listen, and that I planned to do both with an open mind and in the spirit of friendship. I would speak honestly and respectfully, I said, but would not be willing to censor myself or be censored. If I made the changes, my dinner host then said, he could arrange for me to be invited to other conferences in China. I thanked him for the offer and told him that my travel schedule was already far too crazy and was not seeking additional invitations. I reiterated that I had come to China only to exchange ideas because I believe that doing so is so critical to our collective future. He then said they were so appreciative of my visit they would like to make sure I was comfortable by taking me out that night for massages. I told him I was not interested and that my girlfriend would kill me if I accepted his offer. He then told me they would have a hard time reimbursing my travel expenses if I gave my remarks as planned. I replied that I had come to China based on my principles and they would have to decide whether to reimburse the travel expenses, as they had offered in their invitation letter, based on theirs. We ended the evening collegially, but I had made abundantly and politely clear that I had come to China to share my views and listen to theirs. I planned to speak directly and honestly, but also politely and carefully. Walking from the university guesthouse to the conference the next morning, I was intercepted by the same man. He told me that my talk at the conference had regretfully been cancelled but that I was still invited to participate as an observer. I recognized immediately there was no sense appealing. I could have packed my bags and left in protest but didn’t feel that doing so would make much of a difference. Instead, I decided to join the conference to listen to the presented views and see if there might be some other way to communicate. Listening carefully to the views expressed by leading Chinese scholars, I was struck by the uniformity of opinion, almost entirely supporting the Chinese government position on the South China Sea and other territorial issues. Nearly every talk was another explanation of why China was right in its territorial claims and actions supporting them. Chinese universities are not hotbeds of open dialogue, but this uniformity was greater than in the academic conferences I had previously joined on equally sensitive issues. The tired assertions that American policy is animated be a desire to hinder China’s rise and that China never tried to actively make problems were trotted out. Chest-thumping seemed the norm. It was one thing for a collection of Chinese academics to all promote a similar orthodoxy, but the implications were broader. About a hundred students had been invited to the conference and sat quietly in the back of the room. I worried what it would mean if an entire generation of Chinese scholars was never even exposed to alternative viewpoints on issues like the South China Sea or the importance of having a rules-based international order. In the short question and answer session on the first day, I raised my hand and was called on by the session chairman, a German academic. I began my remarks by warning that big powers like the United States and China needed to guard ourselves against dangerous arrogance. I suggested that a conversation on issues like the South China Sea would be more fruitful if scholars for other claimant countries like Vietnam and the Philippines would be invited to this type of conference (a few international scholars had been invited but nearly all of them held views in some way amenable to the Chinese official position). If China was rejecting international law as a foundation of international relations, as a couple of the Chinese scholars had suggested, I asked what was its alternative. If historical claims were a foundation for territorial claims, why wouldn’t the Mongolians legitimately claim most of China? If raw power was what let China claim nearly the entire South China Sea, how was this different than the claims colonial powers used against China in the nineteenth century? Not surprisingly, my comments elicited quite a heated response. After a long session extolling the Belt and Road Initiative then following day, I raised my hand again. When called on, I explained how I had been invited and given assurances I could speak freely but then had my speaking slot revoked out of concern that my views were too sensitive. As a firm believer in the rules-based liberal international order, I said, I was a critic of both China’s actions and of many of the positions of the Trump administration that undermined this system. In the absence of an open dialogue, I feared our two countries could become islands unto ourselves destined for conflict. China had earned a far greater international role, I continued, but now had to decide if it would use its new power to help build a system benefitting everyone or whether it would become a neocolonial power undermining the international system for its own narrow benefit. Universities, I concluded, have a sacred responsibility to keep our minds open and promote dialogue, not to push us towards dangerous, inward-facing conformities. As I concluded my remarks, the students in the back of the room, silent for two days, burst into applause. After the conference, a number of them tracked me down to thank me for sharing my views and tell me more of what they were really thinking. I returned home to New York in many ways concerned about my negative experience being bumped from the conference but also carrying a ray of hope from my interaction with the students. I’ve heard from so many people that the space for expression in China — whether in academia, the media, or even private communication – is shrinking. My experience this past weekend clearly confirmed that perception. The presented views of the Chinese scholars mirrored official Chinese government views more than in any academic conference I’ve ever experienced in China, even if a few of the scholars expressed more nuanced views in private conversations. The students also seemed well aware that there was a growing gulf between what they could think privately and share with their closest friends on the one hand and what they could express publicly, even to fellow students, on the other. Mine experience is only one small data point, but I have the sense it represents a growing trend of a more confident Chinese government inch-by-inch rejecting even benign expressions of openness in areas in any way touching politics. If so, this should be a deep concern for China and the rest of the world. Paving a way forward between China and America that helps both countries thrive and makes the world a safer place for all is an ambitious goal. At a time both China and Trump’s America are undermining the international system, we need more dialogue between our societies than ever before. If both sides close down to the views of the other, we will be in even bigger trouble than we already are. I’ve lived here in China since 1999 and authored 2 China books so far. I am also a professional speaker and have diverse business experience. I must say that I disagree entirely with your position here. First of all, what you call censorship is common sense, not censorship. “He said that he had reviewed my notes and was concerned that some of my critiques of Chinese government positions would be too sensitive given today’s political climate.” the “he” in that sentence is exactly right AND every bit within his rights to say that. It is in fact a sensitive time for a variety of reasons. This is to be ignored and we are to say “whatever we want” ? That’s could be quite rude I think. Even in America, when invited to speak at some conference, it is often the organizers will have an expectation that your comments fall within a certain frame, and this is discussed in advance. 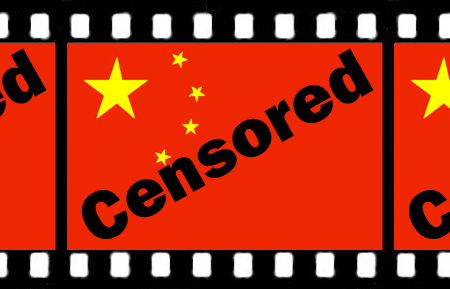 You call this censorship because it involves “China” . Secondly, “universities should promote open dialogue”…. I don’t understand that. Who are you, where do you get such authority to say what they should do? If i am attending a Catholic university I am there attending within a certain idealogy and I know what to expect and I am in that conformity. Does that make a few billion Catholics across the world wrong? There is a limit to what you call open discourse and that limit is based on undefined arbitrary lines and common sense. You have no more right to impose your thinking on them to imply that you are right in doing so and they are wrong if they don’t. Finally, they are already aware of your “other opinion” They’ve heard those points of view before of course. They are simply not interested in hearing them at THAT conference. Perhaps my comments sound aggressive, but please, not to be offensive to you, with my respect. Of course I certainly agree with you that it is unfortunate they changed their minds after you arrived and the threat regarding your travel expenses, etc. That’s all unfortunate nonsense. I’m not sure this is all that different from the closed mono-cultures at American universities and in Silicon Valley. so what did the students say they were thinking about the issue ? You say this reflects a more confident China. To me it represents a more desperate leadership, anxious to exert far-reaching control but fearful that its own people disagree with it. It maintains its censorship only through threats and intimidation. Thank you for sharing your experience openly with the world. And as an Asian, briefly lived and worked in China, also left China due to their suppression and censorship, I totally understand what you have experienced and felt. It is only more worrying than ever that how this powerful authoritarian country is evolving and will become. Back to the Cultural Revolution era with a digital and high-tech monitoring way is what I can see. genuinely pleasant, every one can without difficulty know it, Thanks a lot.